Nationwide Boiler is now involved in virtually every other aspect of the boiler industry including boiler system sales, leasing, turnkey installations, operations and repair. Our commitment to supply the most technologically advanced equipment has been demonstrated by the conversion of our entire fleet of rental boilers to meet low NOx emissions and our ongoing development of high-capacity mobile boiler rooms and portable steam plants for maximum steam capacity. 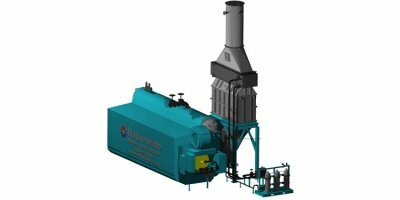 Today, the development of the Nationwide Boiler CataStak SCR system and Best Performance Standards boilers contribute to our reputation as the leader in providing solutions that substantially decrease GHG emissions and increase plant efficiency.Nationwide Boiler has supported hundreds of companies and institutions in thousands of boiler installations throughout the world. Since Nationwide Boiler Inc. first pioneered the trailer-mounted rental boiler in 1967, plant owners and operators have relied on Nationwide Boiler to deliver dependable and high quality boiler solutions. 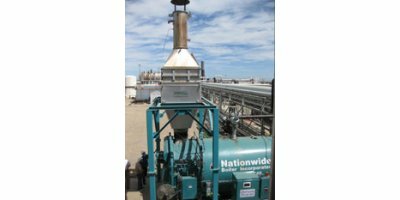 Nationwide Boiler stocks a large supply of rental boilers, mobile boiler rooms, temporary steam plants, new boilers, refurbished/used boilers and emergency boilers that are readily available and can be delivered anywhere in the world. In addition, the company's complete line of environmental solutions including the CataStak™ selective catalytic reduction system, EconoStak economizers for energy efficiency and 'Best Performance Standards' efficiency upgrades for any existing piece of boiler equipment are also available for decreased emissions and increased efficiency. Whatever the need Nationwide provides total plant solutions for all your equipment needs, ensuring your operations are running smoothly and as efficiently as possible. Today, the development of the Nationwide Boiler CataStak SCR system and Best Performance Standards boilers contribute to our reputation as the leader in providing solutions that substantially decrease GHG emissions and increase plant efficiency. With headquarters in Fremont, California, Nationwide Boiler continues to grow and expand. The company's seasoned and strong management teams, outstanding engineering, sales and service offices throughout the world, our long-lasting partnerships, and our positive vendor relations, have helped the company grown to a position of leadership recognized throughout the industry. Nationwide Boiler and our boiler technicians have the proper certifications associated with complete boiler repair and modifications. This enables us to offer the assurance that the company and individual working on your boiler or other pressure vessel are fully qualified and able to accomplish the needed repair or modification required for reliable operation. Industry-wide standards for fabrication and repair of pressure vessels. They require technical knowledge and expertise to manufacture and repair boilers and other fired and unfired pressure vessels. An industry-wide standard for testing and performance verification of power boilers. These tests require the application of the ASME Power Test Code. Similar to the ASME Code Stamps, this requires that the work of qualified welders be monitored and inspected by an independent third-party. Authorized inspectors from Hartford Steam Boiler provide independent, third-party inspection of all Nationwide Boiler fabrication, manufacturing and repair work. Nationwide Boiler has experience in meeting over 100 Mil-Specs. Included in these is MIL-I-45208A, the stringent quality assurance specification. Nationwide Boiler is certified to verify emission levels according to federal, state and local E.P.A. testing requirements. Nationwide Boiler holds a State of California Mechanical Contractor's License #448144. Nationwide Boiler has registered Professional Engineers on its staff. This assures that all engineering work is accomplished to the highest engineering standards. Certified welders meet and maintain the appropriate skill and quality levels suitable for the work being performed.